How to convert PS to TIFF in batches? 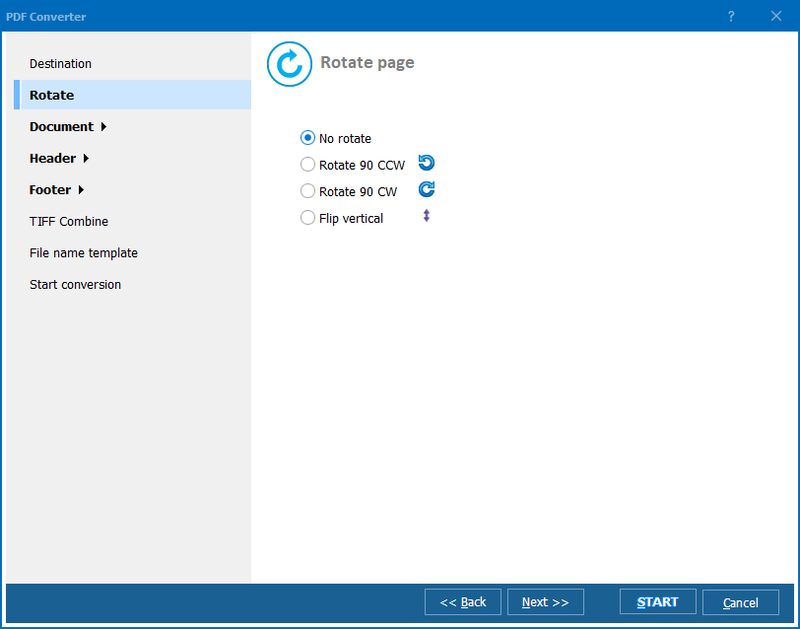 You are here: CoolUtils > Total PDF Converter > How to convert PS to TIFF in batches? Before you tell you how easy it is to convert files with the help of Total DF Converter, we’ll introduce you to the two formats you might or might not know about. The first is PS, or Post Script, a dynamically typed concatenative programming language used by print service providers, publishers, corporations, and government agencies for printing of visually rich documents. Even though this format is very reliable, there are certain disadvantages to it. The most important of them is compatibility: PS documents can only be viewed with Adobe applications, like Adobe Illustrator CS5, Adobe Acrobat X Pro, Adobe Photoshop CS5, Adobe Photoshop Elements 10, ACD Systems Canvas 12, ACDSee Photo Manager 12, GSView, and GPL Ghostscript. The second one is TIFF, or Tagged Image File Format, a format used for storage of images by both, professionals and amateur users. TIFF files, just like PS, are compatible with various Adobe applications; however, they can only be viewed with the simplest programs like Paint and Picasa. This is why many people want to convert Post Script to TIFF. The easiest and most efficient way to do it is to download PS TIFF Converter, like Total PDF Converter. Having been developed by CoolUtils, a famous software development company, this tool allows to convert PS to TIFF in batch, saving you lots of time. 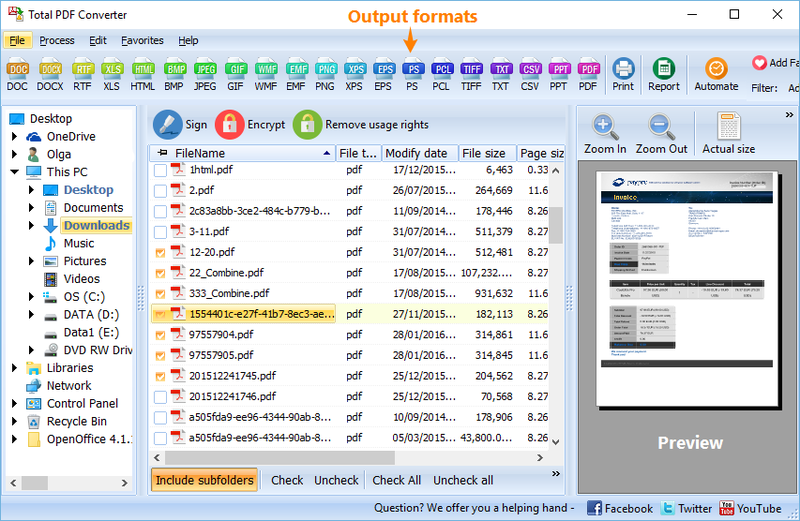 Visit the official website of CoolUtils and download Total PDF Converter. You can get the program for free by choosing its 30-day trial version. Install the program by following the instructions of the installation wizard. 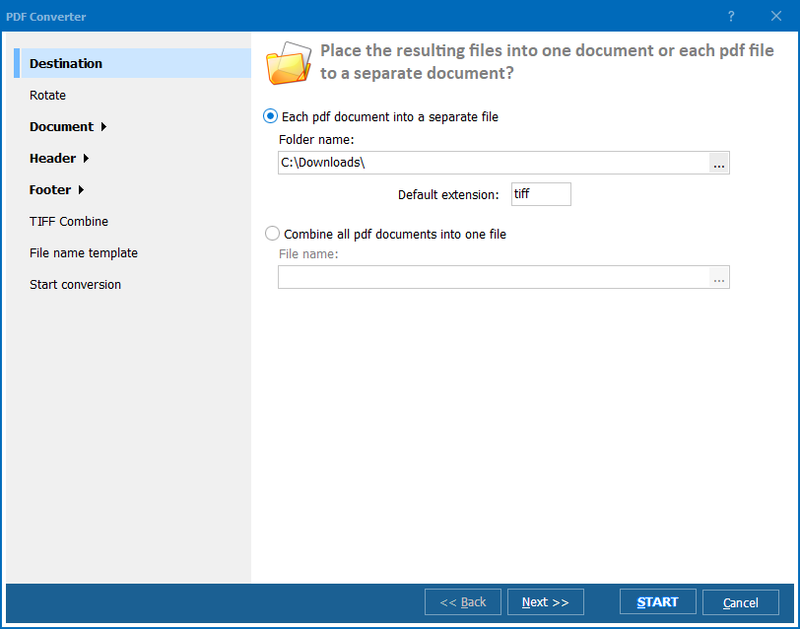 Open the program and choose the files you wish to convert from the automatically generated list. Set TIFF as target format and click “Start!” to begin conversion with default settings or make your own. 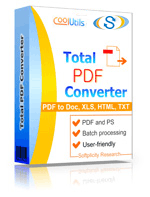 You can also get Total PDF ConverterX, a PDF converter for those who need to convert files on web-servers. Contact CoolUtils customer support service to learn more!